With its bold flavor and simmering warmth, ginger tea is an alluring drink any time of the day. 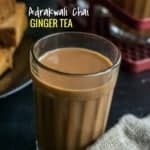 Tea or chai as we call it in India is a refreshing concoction made by boiling tea leaves in water and topping it with milk and sugar and sometimes a medley of spices. Most folks in India like to start their day with tea (except for coffee lovers, of course). While there isn’t a single definitive recipe for tea, I like to think of most tea drinkers as connoisseurs – they love their tea, can’t imagine missing their morning tea and are particular to the point of being prescriptive on how they want their tea. 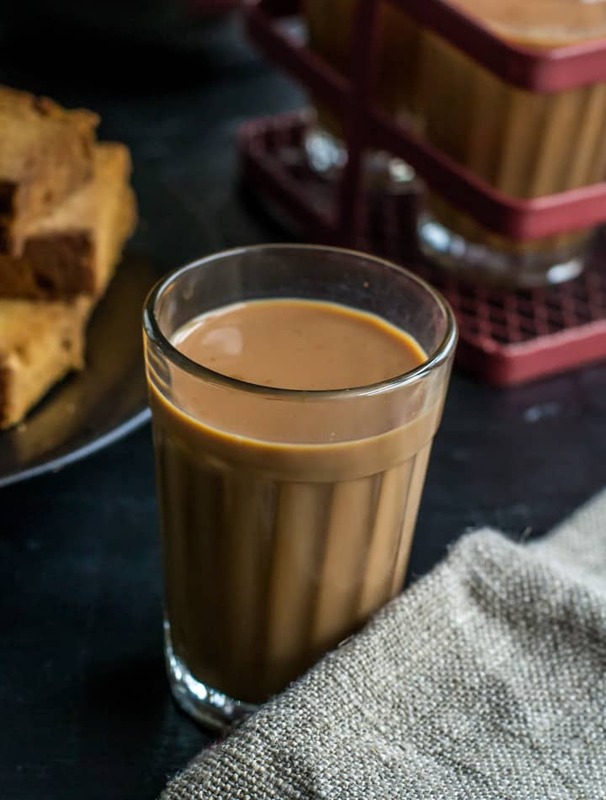 Some want their tea made only with milk, a few like it black while most folks prefer their chai to be a mixture of milk and water. 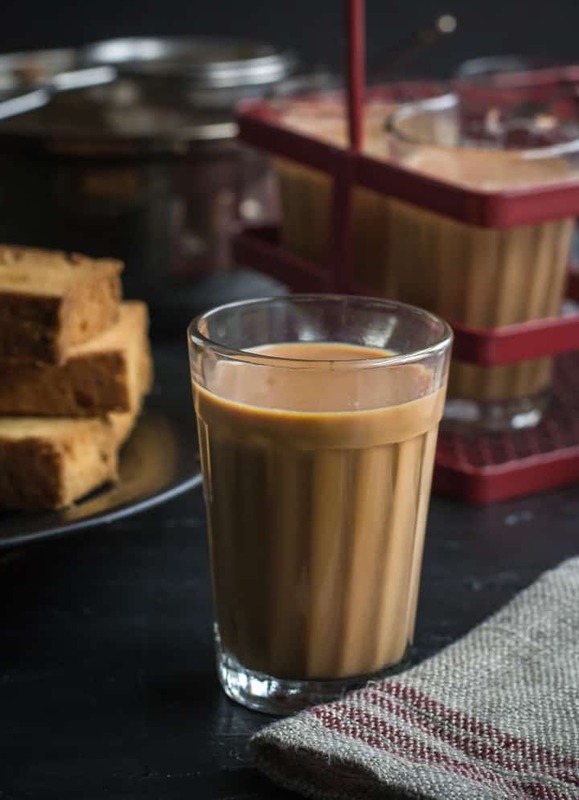 And then there are ones who like masala chai – a tea which is infused with spices like cardamom, cloves, cinnamon to name a few. Ginger is also a very popular ingredient that is added to tea as a flavor enhancer. Ginger while providing a myriad of health benefits, also helps soothe a sore throat. Tea leaves – I prefer Taj and if you can’t find it in your nearby grocery store, English breakfast tea or Earl Grey or Assam tea can be used as a substitute. Whole milk – Tea tastes best with whole milk. If you are vegan, cashew milk would be a good substitute. Ginger – Ginger powder doesn’t cut it so use freshly minced ginger. Sweetener – The preferred sweetener would be sugar. I know some folks like to use jaggery as well. Now that we have the ingredients covered, let’s walk through the steps. Boil the water along with grated ginger. The water will change color after being infused with the juices from the ginger. Add tea leaves and sugar to the boiling water and then let the tea leaves steep in the water for about 3-5 minutes. 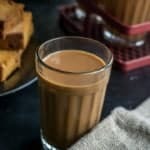 Add hot milk – The reason you add hot milk is that you don’t want to boil the tea leaves again as the concoction can turn bitter. Mix well. Strain and serve immediately. A lot of folks add all ingredients together and boil it. You can make it that way as well but connoisseurs tell me the flavor is not the same. Masala chai – a tea which is infused with spices like cardamom, cloves, cinnamon to name a few. 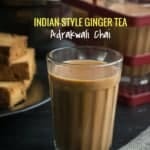 Ginger and Cardamom tea – Freshly ground cardamom combined with crushed ginger is added to boiling water to make this popular tea variation. Cardamom tea – Tea made with freshly ground green cardamom. That’s all from me. Now go grab your favorite biscuits or cookies and enjoy your tea. 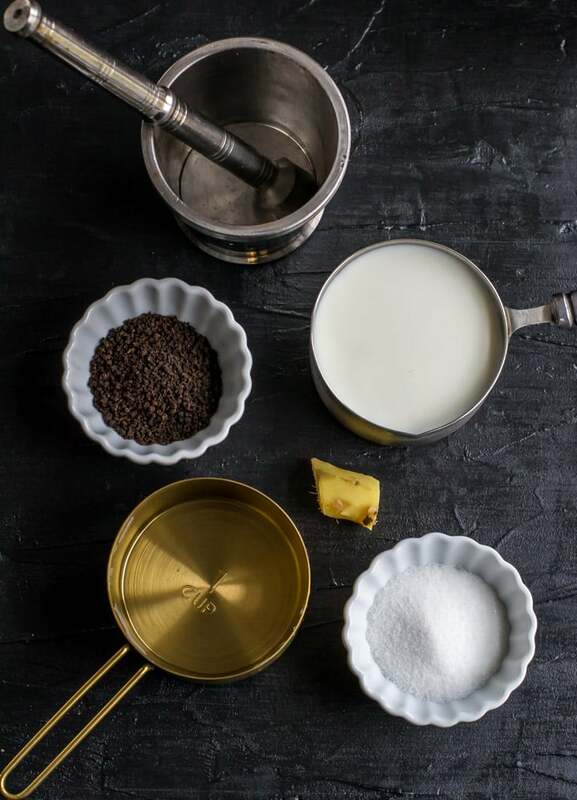 Add hot milk - The reason you add already hot milk is that you don't want to boil the tea leaves again. Mix well. Strain and serve immediately.